As a jerky reviewer you do not always know what flavors to expect from a jerky maker submission. 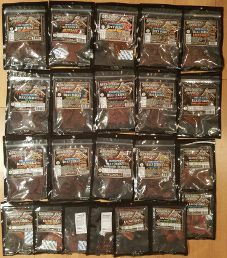 Franco and Patti Fonseca from Smokehouse Jerky Co. with 22 jerky flavors submitted for review in one delivery blows away the previous record of 17 flavors. At Jerky Ingredients we tend to average publishing three jerky reviews a week. While the Smokehouse Jerky Co. 22 bag jerky bag submission is appreciated, this puts pressure on us. 22 flavors / 3 jerky reviews a week is a full 7 weeks and then some, near two months of reviews. Good thing that we are up to the task. 16 of the jerky flavors submitted are beef jerky, and the other 6 bags jerky bags are bacon jerky. All 22 jerky flavors sound interesting. 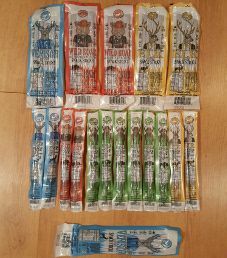 Honorable mention to Pearson Ranch Jerky in this latest round of jerky submissions with 36 meat sticks submitted between their elk, wild boar, buffalo, and venison flavors. Whether it be 22 flavors submitted for review, later we learned it should have been 23 flavors, or 1 flavor submitted for review, we here at Jerky Ingredients are always grateful. We try to publish jerky reviews in a somewhat expedient fashion. To date, we have received jerky submissions from seven different countries. Each country with submitted jerky outside of North America reviewed to date have all had top notch jerky. It is fantastic to see jerky gaining popularity worldwide. 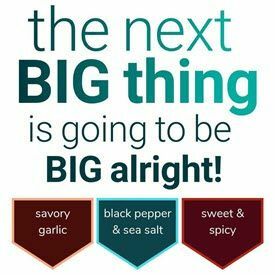 We are proud of offering great exposure, giving the opportunity to get each and every jerky brand known to the market and community in this almost 3 Billion Dollar annual sales jerky industry. The jerky industry has a broad presence on Facebook, Twitter, and Instagram. As a general rule, jerky makers with high social media activity have good to great tasting jerky. 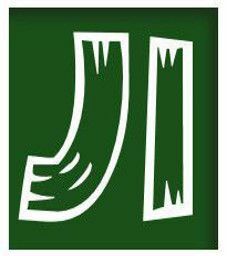 As listed below, you will find various statistics of our accomplishments in becoming amongst the most successful jerky review web sites in the world.